DOOM on Switch is quite a thing, as you'll know if you've read our hands-on impressions of the game. However, in case you were wondering just how well the game can possibly run on a system which contains mobile hardware, our friends over at Digital Foundry have posted a interesting video which gives us a decent idea of what the game will look like - and how future PC-to-Switch ports could pan out. Direct capture from Switch wasn't possible during the recent hands-on events in the US and UK, because the game was only available in handheld form. However, Digital Foundry's tech wizard Richard Leadbetter has done the next best thing; he's built a PC which matches the spec of the Switch as closely as possible, and has grabbed footage from that to give us our closest indication yet - in video form - of how the Nintendo port will run. As you can see, the game loses a lot of detail but is still perfectly playable, and while Leadbetter admits he has taken some guesses when it comes to configuring the PC, he seems pretty confident that the Switch version he played runs more smoothly than this captured video. He also notes that because he was playing in handheld mode, it could be the case that the docked version runs even better. 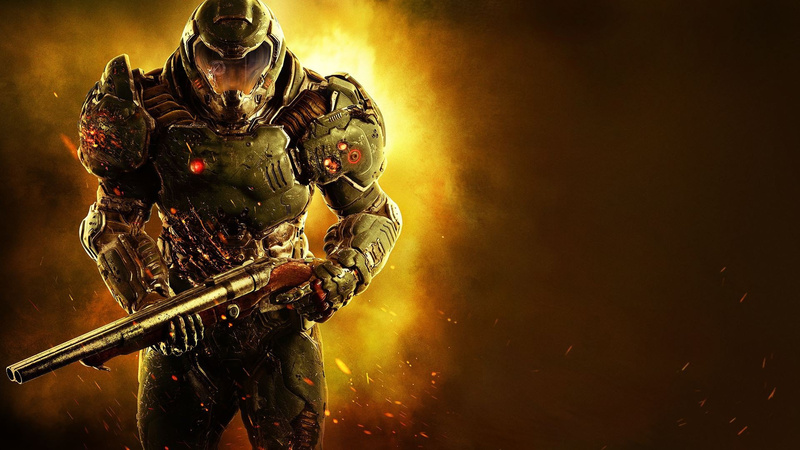 While the Switch version of DOOM is clearly a step down from the home console and PC versions, it remains a remarkable achievement, and we personally can't wait to play the full thing. I dont see the point of this expect to satiate thrir fans and those sweet comment sections. Its a PC version of the game, not the custom version, on hardward thats close but not exact and lacks the APIs. I see people say that the visual downgrade and especially the 30fps is going to put them off buying this port. That for something as fast actioned like this game that the framerate needs to be 60fps. There's only so much the Switch can do. From reports earlier they only played it undocked so who knows, maybe it gets a boost when docked. Having a AAA game from last year running on a handheld is pretty impressive to me. I'm still buying even at 30FPS. Didn't ruin Zelda, won't bother me with this either. PS4 runs the game at 1080p 60, so 900p or 720p 60 on the Switch (docked) should be possible. @BLP_Software This test PC is a close match to Switch and seeing as DF have played the game on Switch, I think we can take their word for it if the performance on this setup is comparable. Yes, it's not exact (which they admit quite willingly) but it's a fascinating approach; you could run other games through this PC to get an idea of how they would look on Switch. @Damo But its only close-ish. Again, there is no NVN, no hardware specifics, no engine customisations. All it is a low end ballpark figure. @BLP_Software Was it ever intended to be anything else? It's a fun approach which at least delivers footage which is (from what we've seen) closer to the Switch version than looking at footage from the PS4 or full-fat PC editions. DF never said "this is exactly what it will look like". It will be interesting to see how close this method is when they do get a proper chance to analyze the Switch version. This fascination with the stats is ruining the games industry. Far to much money spent trying to make small differences. DF don't help with fuelling the obsession and offering little else to the industry. Well, if the 540p 30fps lowest settings is true, this proves you can write off most Switch 3rd party ports. If the most optimized engine there is looks like this on Switch, no one else will both outside sports games. @BLP_Software @Damo I think it's a really interesting video highlighting what types of hardware are in the Switch and how the Switch compares to other hardware, but I don't think it in any way shows how the Switch version of Doom will look. I think he says several times it won't like like his version. I'm not even sure he was going for a graphical similar "look", just being impressed that the Switch could even run Doom at all. I don't think he ever says "this is what it will look like" so much as "this is what it will play like" 30FPS, dynamic everything. He built a half-Switch, half PC play-ability tester more than a graphics comparison machine. That's what I got out of it anyway. It was interesting. Well at least we'll know how well a job was done by the team porting it the Switch. So I see alot of people coming out of the woodwork lately saying anything less than 60fps is "unplayable". Yet DOOM on Xbox One and PS4 weren't 60fps. You thought they were, but they weren't. Framerate jumped to 50fps, to 40fps and everything in between. That's what your "buttery smooth 60" really was, you just didn't know it. There's no way a 10fps difference makes a game go from "blissful enjoyment" to "unacceptable". Especially if it's a stable, locked 30fps. Not to say framerate doesn't matter. It matters. It's just that, a drop from unstable 40-60 to a locked 30 doesn't matter enough to skip the game over. It's a hybrid console- concessions must be made to run current gen, AAA games anywhere. Lots of current gen games run at 30fps... the whole "fast and fluid" argument means little. All shooters can be fast and fluid. Destiny is 30fps. If we can play DOOM legit on Nintendo Switch, and all it costs us is a stable 30fps and drop in resolution... I'm all in. Same for Wolfenstein, same for Skyrim. At first, during the Wii U era, we were getting shafted on content when third party games came to the system at all. Now the main complaint is 30fps?! Like come on! The game looks great and it will have ALL of the content! That to me is a win! And it can be played on the go! That's steps above what the Wii U had. Bethesda is bringing great, nearly current, games to the Switch. Can we appreciate that and have fun gaming like the good old days? This is a party that shall not be pooped upon. DOOOOOOOOMM!!!!! @JaxonH All 3 console versions are unplayable. Easy. Nonsense. I have the game on Xbox One and it's amazing. I think something that some naysayers are missing is the expert in this video stated that the fact that Doom is on the Switch is ‘very impressive’ and his demonstration was to prove that point. Right now the version played is not a final build and only the mobile version (not docked) has been demo’d to the trade. This is being ported by a team that knows their stuff on the Switch by the looks of things and I’m sure some of the build will be unique to the Switch hardware to get the best performance in both mobile and docked mode. I remember playing Doom 64 and the first Doom on pc and I’m pretty sure they didn’t run at 60fps but were still very playable. I’m sure there will be a follow up video once the game is ready for release/review with a definitive Digital Foundry technical performance review, until then just be pleased that that a big AAA developer has faith in the Switch to bring two of its IP’s too. I have both on pre order and will hopefully not have the need to cancel the pre orders following the reviews. I have faith that this and Wolfenstein will score 8 or more. @JaxonH I always tell people who whine about framerate should just play on PC. Like what is the point about saying "Oh yeah but the PS4" when I can make a PC that will last longer and be better speced then what is out now (Only reason I built a new PC was because I wanted a plex server spun out from the old machine). The PS4 Pro and X Box X just shows that consoles are gimped PCs. Which there is nothing wrong with that. I love my consoles a lot, I'm just burned out on "people" complaining about specs of a system and ignoring if a game is fun. That said I have DOOM on PC and I'm gonna get it for the Switch. Because DOOOOOOOOOOOOOOM. @Rayquaza2510 zero logic to that statement. I doubt it'll run 60 FPS docked. Even at 720. Everyone needs to calm down about 60 FPS though. Xbox one and PS4 barely have any games that run at 60 FPS and most games nowadays are 30. So those acting all pampered are out to lunch or PC master races trying to hate on the Switch. Don't forget to lock the game at 30 FPS, cause that's all it's getting on NS! Bleh.... 30 FPS for an FPS... 60 FPS has to be the minimum, 30 is just bad these days. These aren't the N64 days anymore, back when 30 FPS was acceptable. It's all about that 100+ FPS for FPS on PC now! @Moon Zelda isn't a fast paced FPS. No comparison. Don't need 60 FPS for a third person action-adventure title. @PlywoodStick I've seen videos of it running on Switch and I think it looks brilliant. @Moon It looks good, all things considered, but it objectively isn't going to play as well as on PC. No surprise, though. Higher frame rate, and of course, KB/Mouse > Twinsticks every time. But at least DOOM is better off on NS than PS4/XB1, due to portability. @Snakesglowcaps The "pampered" ones are getting 144 FPS, not 60 FPS. 144 FPS really does run like silk by comparison, I can't blame them. I'd like to build up to at least 100+ FPS to get near that myself early next year. I've yet to play a game where 60fps made a difference to me. Sure it looked smooth but it didn't affect my gameplay. Now I might concede for multiplayer but ultimately everyone would have the 30fps deficit so it's not like PC where PC performance per player could be drastically different. "Unplayable" is laughable hyperbole. 30fps is extremely playable and pretty much the standard on any console. PC may be running everything at 60 and above, but on console, it's an exception and not the norm. Day 1 for me and makes me very hopeful for Wolfenstein 2 and future games. @Menchi187 DOOM '17 was optimized for AMD graphics hardware, not NVIDIA. So it's impossible to fully optimize it on NS. Future NS titles will run better. @jimi The keyword there is 'unstable'. My experience is that 30fps is fine, it's consistency that's most important. Fps spikes/drops can drastically affect gameplay whether your playing at 30fps or 60fps. @jimi I didn't say I didn't see or feel a difference. I said it hasn't affected my gameplay. And I still gave an instance where it could possibly. But locked 30fps gameplay is quite playable and enjoyable, and complete hyperbole to say it breaks a game. What API are you referring to when you say it was optimized for AMD? Yes the confusion that people seem to have about the difference between something running at one fixed frame rate whether it be 30 or 60 and an unstable frame rate where it jumps between say 10 to 40 or 50 usually muddies these discussions. As long as I have a mostly constant frame rate working with my brain automatically adjusts to it. @JaxonH a somewhat low but stable framerate will EVER be better than a high but instable framerate, just haters don't agree. 2 minutes inside the game and your brain already get used to the speed and can predict the movements just fine and you will not even notice anymore. Try playing BIT.TRIP Runner (the first one) at 30fps, then play it at 60. I know it's a pointless comparison considering the genre of the game versus that of Doom, but it's interesting to see how much of a difference it makes. Oh yeah. I had totally forgotten about that...Welp, I guess that changes things. Stick to the PC version boys and girls. @jimi No. They are not mutually exclusive. And the examples you've given are subjective as is my opinion of gameplay. I stand by my opinion on the exaggeration of game breaking fps. In most cases, the issue is the inconsistency, not the target. I think, however, you're missing the point of my post. Is 60fps better? Sure. Is it mandatory? Not in my experience. @turbotri That is pretty much my point. Seeing "30 fps" attached to a game review and automatically writing it off. As long as it's consistent, I'm sure I can handle it. @Deadstanley Haven't played them so I can't say. I'll have to take your word for it. FPS This & that...but pray tell, how far from the couch will my Xbone & PS4 travel? id Software did a great job making this engine, otherwise it wouldn't be possible to port Doom to Switch even with the downgrades. I don't think other engines that are not so well programmed would have achieved the same result. @DJKeens I see, feel and suffer the difference between 30 and 60 fps quite much but it depends on the genre. I'd say for Zelda is not that important but for a shooter it is. But hey if you're always fine with 30 fps fair enough, I envy you. @Moon I agree. As long as they can keep a pretty steady 30fps, I'll be happy. 60's best, 30's acceptable. I've played game with less then 10fps...those aren't much fun. @Amsterdamsters Goldeneye 007 multiplayer? Well that one was much fun in spite of the 15fps! But it was 1997 and there wasn't anything better not even on PC. @BlueOcean Just gonna throw it out there that the X1/PS4 versions also have drops from 60, down as far as 45 in some cases. Curious to see how the game looks on the TV. We also have some time before the game is actually released. Plenty of time for Panic Button to clean it up and optimize. @Indielink Yes, I expect the game to run better in docked mode, too. The Xbox One/PS4 versions have dynamic resolution scaling so they lower the resolution to avoid slowdowns. Switch version too, I expect the final version to run smoothly at 30 fps. It shouldn't go lower than 30 fps to be playable. I think that the engine is already brilliant but as you said Panic Button has time to optimise whatever they can. @turbotri Vulkan. Which was originally derived from AMD's Mantle API. Vulkan is open source, so it can be used for programs running on NVIDIA hardware, but it's fully optimized for AMD hardware. This is well known in the PC gaming industry and communities. Also, since they have x86 architectures using AMD hardware, PS4/XB1 by default receive better optimization from Vulkan than NS, coming from PC. >"For example Bayonetta or the proper Devil May Cry games can simply not be properly played at 30 fps. Fighting games also require 60 fps." You're opinion of what is proper and how it "cannot be played" at 30fps or what is "required" is indeed subjective. To say someone cannot play these games at this fps is ridiculous. Perhaps you can't play them at a lower fps and that's fine. But that doesn't make it a universal fact for the entire gaming community. Nor does it make it silly. @BlueOcean Sorry to hear man. One day these fps discussions will be a thing of the past and everything will be 120fps. Then it'll be too fast for me lol. @DJKeens 60 FPS has mattered since the arcade days in the 1990's. This is nothing new. 30 FPS is a console's curse. @Nolan420 It's labelled as an octa core CPU, but technically, it's two quad core chips slapped together. ARM Cortex-A57 and -A53. It's not using a single octa core chip. And we have to remind ourselves, about 1 GHz clock speed, which is fine for what the Switch is. A mobile device. @DJKeens Yeah, one thing that really annoys me is when moving the camera, I get a bit dizzy under 60 fps. I even notice the 1 frame drop in Mario Kart 8 but that doesn't really bother me. But hey, I've played Goldeneye 007 on Nintendo 64 and completed most levels on 00 Agent difficulty (the last ones are nearly impossible). Must be my teenager brain back then. That game really had an awesome campaign but I didn't like the 2010 game as much. I play all my FPS on PC. I've got a beast rig running in the 100s of frames per second at 1080p. But even still, the portability of this game= a purchase for me, even if it's 30fps. The ability to sit back and play some DOOM in my bed or on the couch when I don't feel like hunching over my PC is worth it. I guess the mock up could be used to compare how a $300 super budget build compares to a $500 budget build, though... Honestly, there's no reason to go below $500 for a PC build unless you're in severe poverty or don't run games, though. Too many performance sacrifices have to be made. @PlywoodStick Never said fps doesn't matter. And the video example compares the Saturn version of Daytona at 20 fps to the arcade version. Sub 30fps for me is definitely going to hit my ability to play. @jimi Actually that was my opinion of your statements basically grinding it all down to fps. Debating that a game cannot be played if it isn't 60fps. That sounds very "anti-gaming" to me. Additionally, if you agree that sub-60fps games are unplayable then I'd throw it back to you on when you started gaming as 60 fps most certainly was never a standard at the introduction of 3D. Again, there were exceptions but it was not the norm. To this day we still have many games still running at 30 fps on every console. "I've yet to play a game where 60fps made a difference to me." EDIT: For Street Fighter, I actually make that very point in my original post if you care to read it again. But the issue is that there are two different FPS at play, not that it's 30fps. In this case, DOOM on Switch multiplayer will be played at 30fps by ALL players on Switch. The playing field is level. In any case, the game is still very playable and enjoyable. @PlywoodStick yeah relax. What's battlefield run at on consoles again? One of the most popular current FPS's? @PlywoodStick Yeah, that's why it's an approximation like Digital Foundry and Damien have said. I find it quite interesting, I love Digital Foundry's work, even when I only had a Wii U and it didn't fare well. @BlueOcean Same. Adored the original game, but the remake didn't do anything for me. I can't say I get dizzy but sometimes it does become near uncontrollable for me. Depends on the game. @GravyThief If you enjoyed Doom on SNES you will enjoy anything. Luckily, mi father had a high-end PC and Doom. @Snakesglowcaps Only after being gimped down to 900p tops for the base consoles... Gotta pony up for a PS4Pro or XB1X to get 1080p/60 FPS. Even then, still only equivalent to mid-high settings on PC. @BlueOcean I can't enjoy it now. The lack of circle strafing and getting stuck on walls, let alone the frame rate makes sure of that. But at the time I didn't know better, and it was my only way to play Doom. I absolutely loved it and I'm sure I completed it on the highest difficulty setting. God knows how! One thing the SNES version still has going for it however, is that compared to all the other ports at the time it had most of the levels from the PC version, which is so impressive. I now enjoy original Doom on my N64 via the Everdrive. It's great. I don't think I could ever tire of Doom. There's something so satisfying about firing the shotgun or hearing the Cacodemon dying. @GravyThief I completed Jurassic Park (SNES) but it had better visuals than Doom (SNES), probably because the shooter sections were smaller. I also loved Doom. The new one is a bit too gore in my book but perhaps you will enjoy it because of that. @Nolan420 I think you're right, an APU would be the closest thing. AMD is coming out with some sub-$100 ones soon, and the mobile Zen chips as well. I remember wanting something better than a Pentium 4 based rig to play Mass Effect with... So I know how that feels. @DJKeens Problem is, 30 FPS often acts as a cap for consoles, and not necessarily where it's going to stay the whole time. It's too close to the danger zone that affects performance exponentially with every frame once it dips below 30, especially when it gets busy. This was especially prevalent during the 5th console generation, and still pops up today from time to time. @PlywoodStick I agree. If it drops below 30fps then we're talking about a different beast. We're getting into the real unplayable fps nevermind that it would be inconsistent. It is definitely a curse but one we've dealt with for a long time. My point with the 30fps is that it's been used constantly to make very playable games across all genres. We know the Switch isn't a hardware beast and if a comparable version of a game can be made without sacrificing what makes it fun, I say go for it. 30fps isn't the end of the world. That video example though. I'll avoid the 20fps, that looks painful. This is a dumb idea. A port of a game isn't simply shoving it onto another device. So shoving PC Doom onto a PC with specs like the switch is not gonna give you a good comparison. Everybody knows that it's not totally accurate but it's an interesting experiment. Besides, Digital Foundry could capture handheld play. Only when the final game has been tested properly they will say this is the definitive information we can give you. For now, they are impressed by seeing Doom on Switch and the engine is a wonder but everybody is curious about what sacrifices have been made because, obviously, this can't be the same game you are playing on Xbox One/PS4. It's very interesting information even though it's not definitive because Doom is the first current-gen game on Switch, the other games also have a last-gen version: NBA2K18, Revelations 2, Rayman Legends... Dragon Ball Xenoverse 2, as a new game that will be released tomorrow, will also get a lot of attention so be prepared. Also: Sonic Forces, Steep and Yooka-Laylee. I don't expect them to run perfectly on Switch but that doesn't mean that I can't be impressed by what the Switch can do with more limited resources. I think you are thinking back when Nvidia was still working on their Vulkan compatibility. If you look at more recent tests things have changed a bit. Plus Vulkan was not so much about pushing more pixels to the gpu as much as it was about removing the API overhead that would overwhelm a low spec cpu as is the case of the switch. In any case this is not about AMD vs Nvidia and which tribe's spears are sharper. The real applause goes to the team that ported DOOM and did such a fantastic job of maintaining the core of the game and most of the visuals intact. @Damo no man, you don't get it. This article could be perceived as perpetuating negative Nintendo news. Can't have this! @Damo There is no comparison at all really. He's using an x86 processor. No matter how close the two processors would benchmark next to each other, it is completely irrelevant. The hardware is apples to oranges. They have completely different instruction sets, even if they are the exact same power, they are going to run games completely different. This is a just for fun video, and nothing to do with the real world. It's like racing a monster truck and mustang. What's under the hood can be exactly the same, but how they drive depends on road conditions, not linear output. @BlueOcean NBA2K18 isnt the last gen version, its the exact same game like the ps4 only with bit lower graphics. Just look at the ps3 version, its totally different. @DJKeens What a fair display of class and rationality in the face of antagonistic comments. @jimi I respect your comments too, the frames-per-second discussion is pertinent in many ways--but I also can't stand statements that sub-60fps game play is unplayable. It's like saying pineapple pizzas are inedible; when in fact, separate to personal preference, it's very possible to eat a pineapple pizza. @gatorboi352 That's what we do here, didn't you know? "Your "opinion" is literally anti game." Another classic internet keyboard warrior temper tantrum, here. Blah, blah, blah. I'm still getting it because I like playing games. It is all about the games and Doom is awesome. It's a HYbrid (really a handheld). What do you expect? It has limits. Will it play well? I believe so. @Sanangelo89 I didn't say that NBA2K18 is last-gen. I said it's a cross-gen game with versions for the last-gen and current-gen consoles. The Switch version looks better than the last-gen version but not as good as the current-gen version and the frame rate is cut in half, so it's not exactly a current-gen experience but something in between, which is not that bad for a handheld or whatever the Switch is considered to be. @BlueOcean Yes, that was a great game at the time and we played the crap out of it. Sadly, it did not age well at all. We tried playing it a few years ago and I thought that I was going to throw up. I don't care if the graphics on a game are 720p or 4k, but give me a steady smooth frame rate of 30fps or more...please. @Amsterdamsters Yep I also need good frame rates but at the time the game looked amazing compared to PS games. The campaign and the objectives were all nicely done. That's one thing I miss about Goldeneye 007. @BlueOcean that it is 30fps and having downgraded visuals doesnt make it less 'current-gen' for me. PS2 also had downgraded visuals and fps compared to GC and Xbox and after that i went handheld only excluding PSVita. So i should be the last person complaining about visuals and 60fps because this whole HD gaming is still very new to me. @Sanangelo89 It's a hybrid console somewhere in between last and current-gen but it runs in handheld mode so Switch has that plus. I'm not against handhelds, I play on 3DS a lot. I love it. Vita was a cool piece of hardware. I also have a Wii U and Xbox One and that's probably the main reason why Switch doesn't appeal much to me. That and a few choices that Nintendo made about it that I think that could have been better after playing on it, like the joycons to name one. The fact that Switch is so different (zero backwards compatibility, no D-pad) and at the same time so similar (Wii U games, Wii-motion controls) to recent Nintendo consoles means that some Nintendo fans have been disappointed and they have the right to. @jimi I see your point. On another note--to be fair I have never played doom either--but from the footage I have seen, I am concerned that contrast/lighting will be the biggest game-play affecting issue. I would think those dark and red environments will be hard to see when playing handheld during the daytime. What do you reckon? @BlueOcean I was disappointed with most of the Wii because forced motion controls with most games. I thought the Wii U gamepad was kinda cool even though kiddy looking but that you coulndt take it upstairs away from the console was a big dealbreaker for me so no buy. The Switch kind of fuses and fixes all of this and the backwards compatibelity doesnt bother me. Wii U games can come as ports and Wii as VC modified for joycons. And otherwise just keep your old consoles why do it away uf you are still attached to the games it plays. I bought the Switch 2 days ago with DB Xenoverse 2 and i am very happy with it. 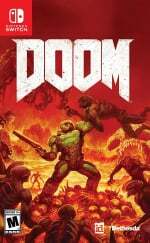 Thinking on buying Doom as my second game. @Sanangelo89 Well, even though I'm always getting rid of old stuff I still keep my first console, SNES, and N64, GameCube, Wii and of course Wii U which is plugged into my TV. I play on New 3DS quite often and I also have an Xbox One so a lot of gaming stuff stays around me. Anyway, one of the favourite features of a new console to me is backwards compatibility and that's why I appreciate Wii U a lot, that also has a Virtual Console, 3DS which has those two features as well and Xbox One that plays 360 games and some Xbox games in the future, not to mention Rare Replay which is like a Virtual Console on its own. Yeah i understand. I hope nintendo brings out a good VC for the Switch. I bought DB Xenoverse 2 instead of Zelda BOTW because i still want to play the preceding zelda games and the only one i finished is OoT3D and did recently for 2nd time almost 100%. Still a lot of games to play on my 3ds so BOTW can wait cus i never touched majora that i bought a few months ago. All this gaming news is also very time consuming, i actually find myself following gamenews more then actually gaming😝. But 2017 is also very exciting for gamers.